Cambridge was the most successful club on the first day of the First Windows & Doors BMXNZ National Championships at the East City club in Auckland on Good Friday. 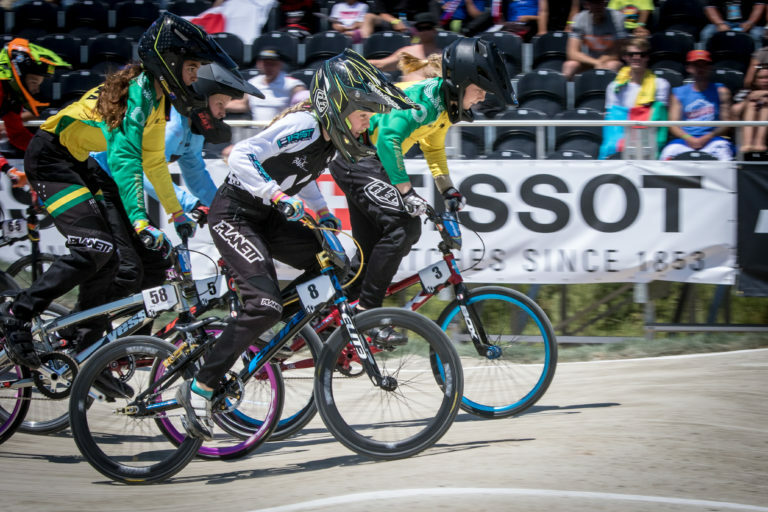 Some of the best BMX age group riders will group in Auckland this weekend to decide honours in the First Windows & Doors BMXNZ National Championships event. 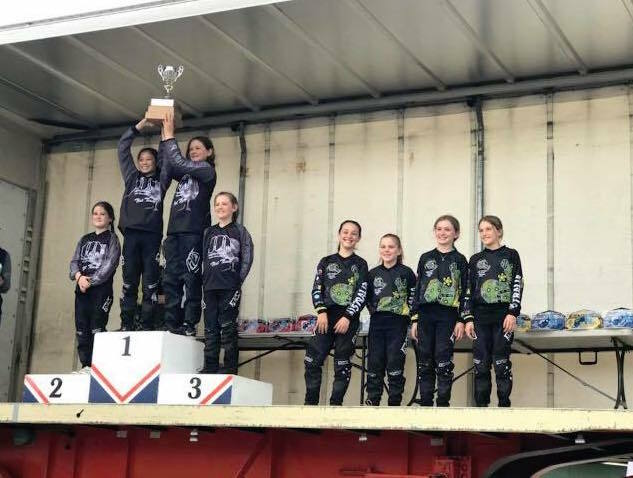 Hawke’s Bay BMX rider Tyler Waite had an extra incentive when he captained the New Zealand Mighty 11s team to victory against their Aussie counterparts in Auckland last weekend. It is with pleasure that BMX New Zealand announce the successful selected riders who trialled for the BMXNZ Mighty 11’s Junior Test Teams at the Mountain Raiders BMX Club, during the 2018 Pre-Norths Trial event, Sunday 23rd September 2018. BMX New Zealand would like to announce the trialists for the Mighty11 Junior Test Teams to be held at the Pre-Norths meeting at Mountain Raiders BMX. Records tumbled on BMX time trial day at the Aims Games. In the third year of this sport at the tournament, fastest times were set in three of the four divisions – Year 7 boys and girls, and Year 8 boys. 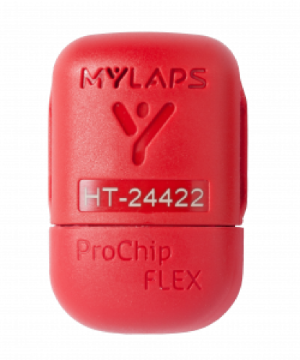 BMXNZ has pushed live the transponder purchasing process to the BMXNZ website, so anyone can now purchase the correct transponders to be used at the BMXNZ Major Meetings. 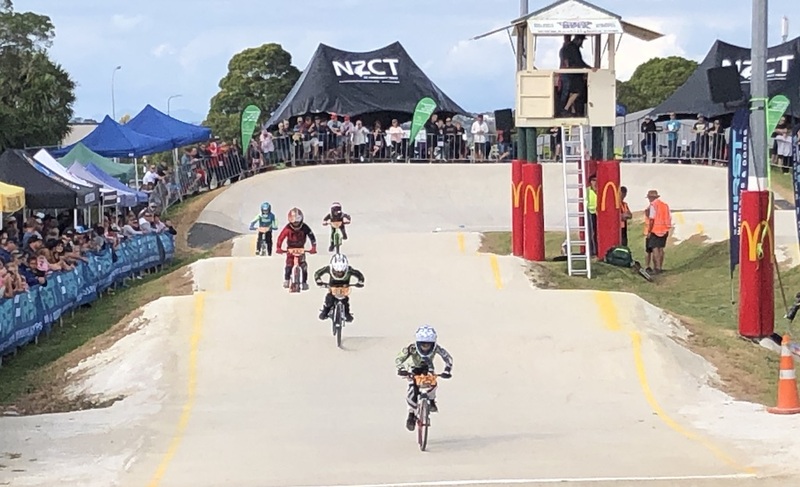 It is with pleasure that BMX New Zealand announce the successful riders who trialed for the Junior Test Teams at the New Plymouth BMX Club, during the 2018 FIRST Doors & Windows BMXNZ National Championships, Friday 30th March 2018. The following riders will trial to be selected in the BMXNZ Mighty 11.s Junior Test Team for the Australian leg of the trans-Tasman test. What are the Mighty 11’s? 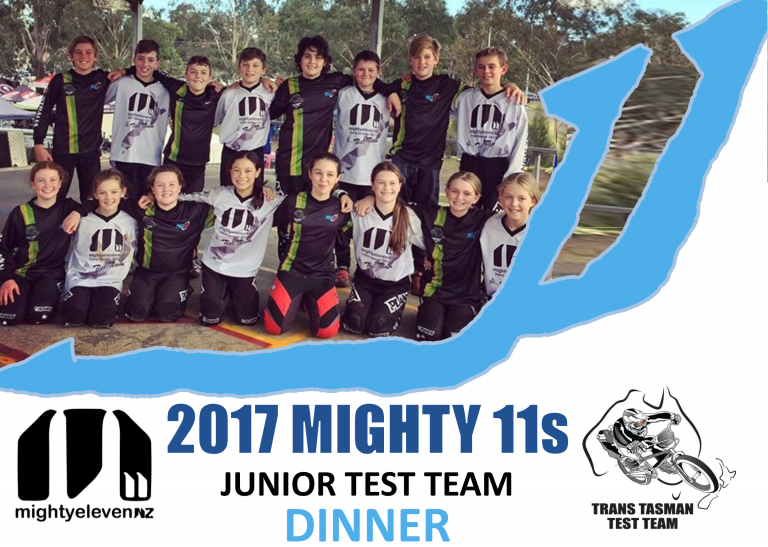 The Mighty 11’s Junior Test Team is a cultural exchange with BMX-NSW. 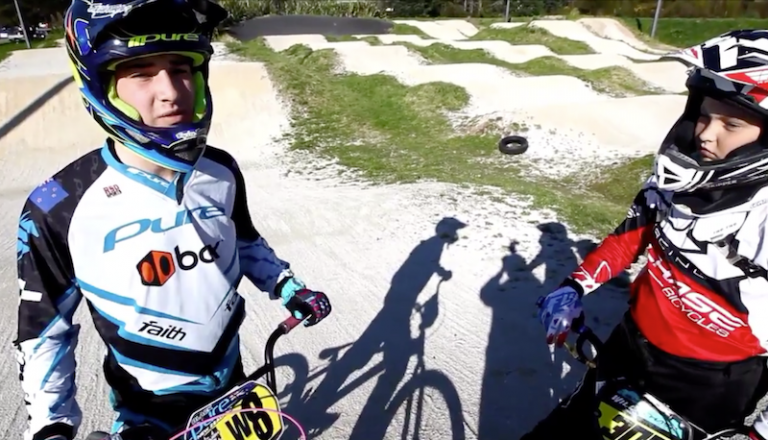 The Trans Tasman series is raced at the BMXNZ North Island Titles and the Australian Series held at a NSW BMX event. 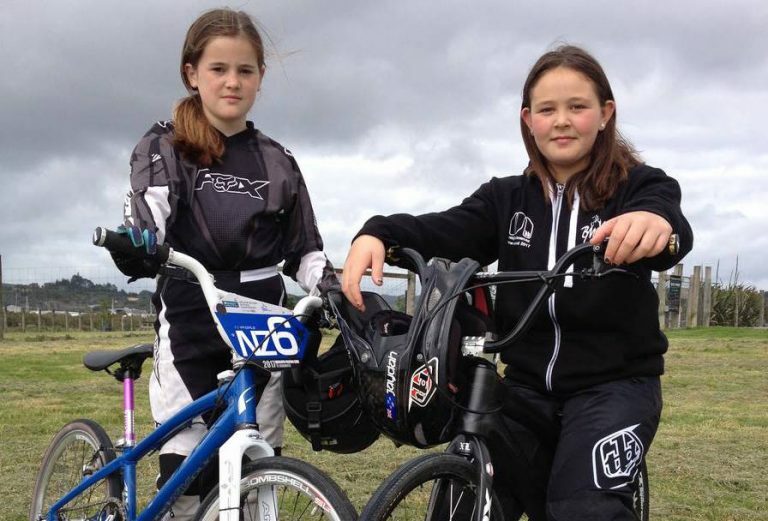 Jaydah-Lily Lees and Kiera Waite secured their targeted silverware when they defeated Australia at the BMX New Zealand North Island Titles event last weekend. 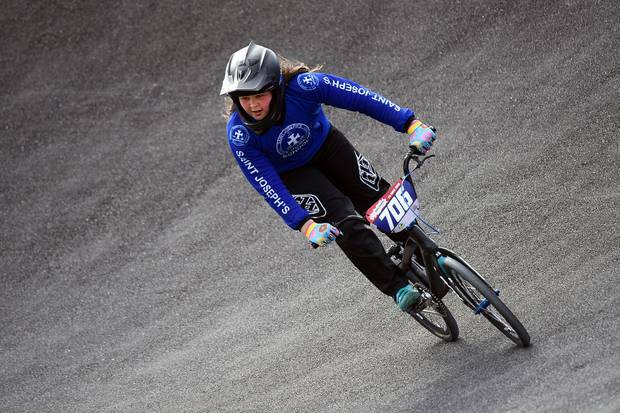 Two 11-year-olds are proving BMX is in their blood, being the first second-generation riders to have made this year’s Mighty 11s Junior test team. Below is the invite for anyone who would like to come to the Mighty 11’s dinner. This is an evening with the teams to meet and greet them all as well as meeting some of the traveling Australian families attending the North Island Titles (there are a lot of them)! 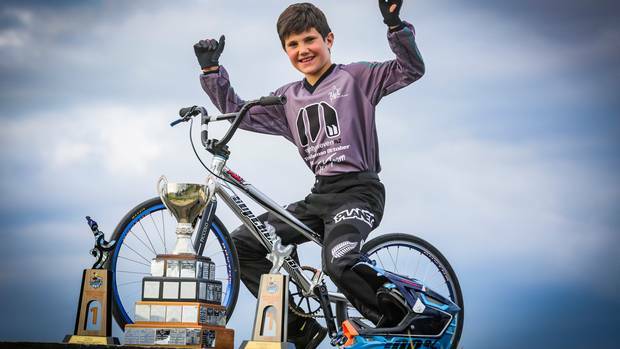 Having attended trials against the best in their age groups, Rotorua BMX Club riders Zach Paterson, 15, and Will Skipper, 11, have claimed spots in New Zealand BMX teams.